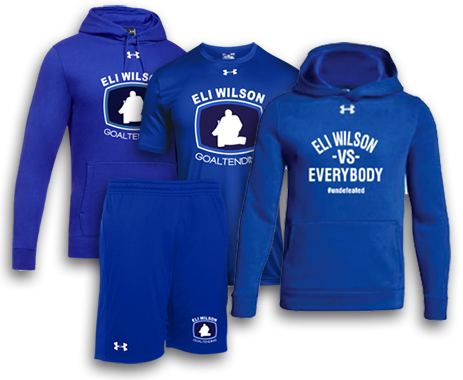 Eli WIlson Goaltending - Home, A World Leader in Goaltending Development and Training Abbotsford, Edmonton, Summerland. Eli Wilson has worked with over 30 NHL goalies (and counting). 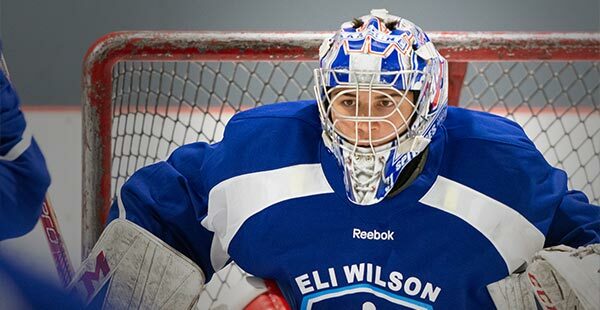 The training you get from an Eli Wilson Goaltending camp will sharpen ALL your goaltending skills, including mental and off-ice training. Eli will help you hone your reflexes and improve your agility in the net. Experience a taste of how Pro and NHL goaltenders practice, train, think, and act, to get to the top of their game. If you’ve been looking for the best goaltending school on planet earth, look no further. Our promise to our goaltenders is to provide nothing but the best in every area. Our coaches and shooters will all have experience of playing at a high level. From the moment the camp begins, you will be treated as a professional. You will receive your CCM jersey, Under Armour apparel package, and your New Era Eli Wilson Goaltending hat at registration. The schedule for the week will be followed precisely to establish a proper routine. Two shooters at each station will ensure that our goaltenders face hard and accurate shots. Our coaches will not be shooting; they are there to help the goaltenders and control the shooters. We focus on progression of the entire group of goaltenders, pulling from the top and pushing from the bottom to maximize improvements. Each drill will begin with a demo performed by a WHL goaltender, followed by an in-depth, yet brief explanation of the details by Eli. None of our drills will be simulated. They will all be with live and controlled shooters. Our philosophy is that the time spent by goaltenders practicing the movement or save is 100% more valuable than the time spent talking about it. Our drills will be purposefully executed with an intense pace, and our coaches and shooters will be pushing you to be at your best every single rep. After you’re a session, you will experience our new office program, designed specifically for goaltending skill development. We often see other off-ice programs that are too physically demanding and take away from the on-ice portion of the camp. Our program has been designed and executed by goaltenders and is strictly for functional movement and skill training. Our food is guaranteed to be nutritious. We will always provide a solid, a pasta, protein, vegetables, and a platter of fresh fruit. We will not provide sugary, unhealthy foods or drinks. We will also ensure that our athletes with allergies will receive a catered dish; just make sure to inform a member of our staff. At the end of the day, you will have a safe and secure space to leave your gear overnight. We promise to provide an atmosphere that is highly competitive, yet positive and fun. We want you to be the best you possibly can. In summary, here is a list of things you will see at our camps, and a list of things you will not see at our camps. professional, experienced coaches, high level shooters, proper net pegs, high quality jerseys and apparel, two shooters and a coach at each station, WHL demo goaltenders, proper progression of drills that work to develop goaltenders, a strong off-ice program with no filler, clean and high quality facilities, more than enough nutritious food and sports drinks, and most importantly, vast improvements in your game. unprofessional staff not communicating with the goaltenders, lazy staff or shooters, simulated drills, coaches shooting on goaltenders, props being used on the ice, cheap meals, a slow pace, jerseys that will be thrown away after the camp, low quality apparel that won’t be worn again, off-ice programs with no purpose or proper coaching, ice sessions with no shooters in order for us to save money, and very little improvement from the goaltenders. There are goaltending schools that are considered good, there are some that are considered better, but there is only one that is the worldwide leader in goaltending development and is truly the best. Sign up for our camps and watch your game go from good, to better, to the best. Great goaltenders start with a solid foundation. All of our sessions start with 15 minutes of skating, and all of our drills are based around our movement system in the crease. Once there is a great foundation to build on, we implement game-like drills where shooters have options to shoot or pass. These drills force goaltenders to read the game and will help you improve at a much faster rate. The most elite goaltenders are always looking to gain the competitive edge. We use the best shooters, and non simulated drills to ensure that every rep is effective to push you to find the next level of your game. Experience the very best goaltender training available. Checkout our upcoming camps and signup early to not miss out. 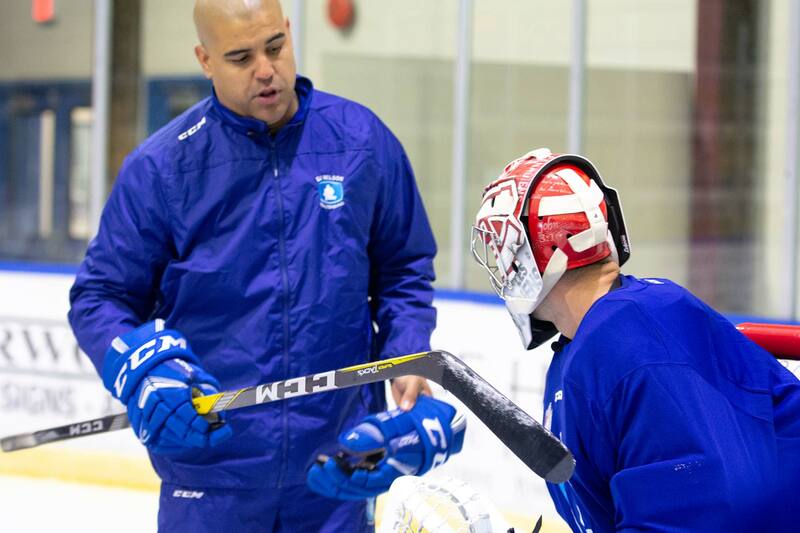 Eli Wilson has established himself as one of the premier goaltending coaches in the world. He has worked with dozens of goaltenders in the National Hockey League (NHL). 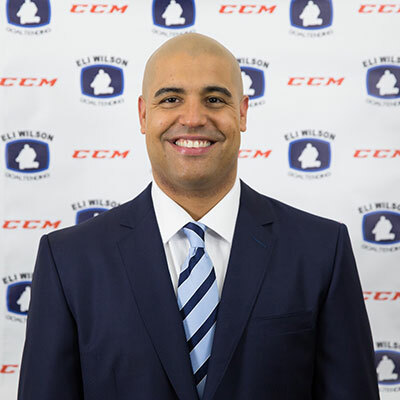 Under his tutelage, Eli's camps have produced more than 50 NHL draft picks, over 60 Division I or Canadian University goaltenders, and more than 200 players drafted by Major Junior teams. His goaltenders have gone on to win numerous prestigious awards and championships: Stanley Cups, Conn Smythe Trophies, Venzina Trophies, World Junior Gold Medals, American Hockey League (AHL) championships, AHL Playoff MVPs, WHL Goaltender of the Year, Ontario Hockey League (OHL) Goaltender of the Year, and Canadian Hockey League (CHL) Goaltender of the Year. 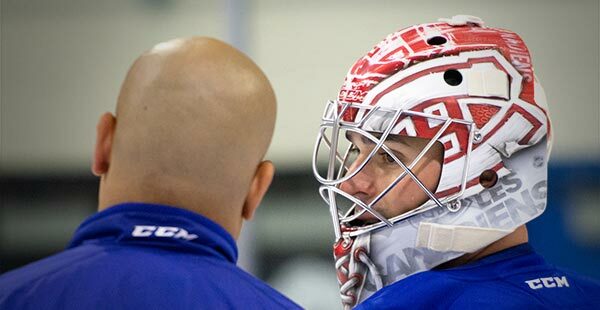 In 2004, Eli was named to Hockey Canada's goaltending consultant group. Since 2004, he has consulted with Creative Artists Agency (CAA) Sports during their summer development camps for top young prospects in Los Angeles, California. In 2007, Eli traveled to South Korea to work with the Kangwon Land Ice Hockey team and other young goaltenders in the country. From 2007 through 2010, Eli was the goaltending coach for the Ottawa Senators, where he was responsible for the Ottawa Senators goaltenders as well as for the goalies playing for their AHL affiliate, the Binghamton Senators. In 2010, Eli established Eli Wilson Goaltending. Today, Eli Wilson Goaltending is a world leader in goaltending development. Eli runs goaltending camps, clinics, and consults worldwide. 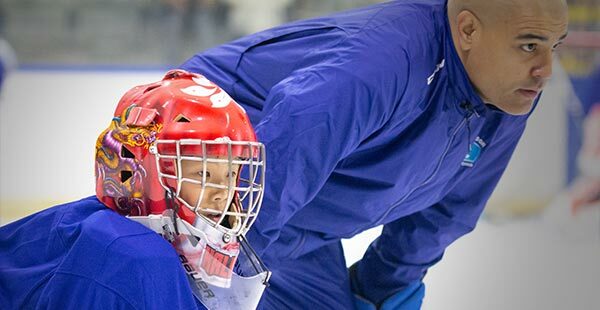 In 2016, Eli introduced a number of specialty camps, including the popular 24/7, where goaltenders actually live and train with Eli over a three-day weekend. A main staple of Eli's year-round training is advanced video technology, whereby he and his staff can analyze video remotely to further goaltending development. Eli’s unique, progressive, repetition based training regimen equips goaltenders with the fundamental skillset that they need to be successful. Eli then strives to get the most out of his students by drawing on the learned foundational skillset. Eli is considered a leading expert in developing new techniques and strategies for goaltenders. He most recently authored the book Hockey Goaltending – the definitive guide to elite goaltending. Top Quality Under Armour Hoodies, Shirts, and Shorts. Ideal for camp dryland training, or just out and about. Either way, you'll look great!. Order early in time for your camp. In Hockey Goaltending, Eli Wilson and Brian van Vliet have created the definitive guide to stopping more pucks, winning more games, and lowering your goals against average. Inside, you will find coverage on every facet of the position. From skills to strategies, equipment to exercises, Hockey Goaltending covers the position like no other. Packed with drills, step-by-step instructions, photos, diagrams, and coaching tips, this book touches on every aspect of the game so you can compete at the highest level.